In some cases you may need to manually reinstall/update the Microsoft Visual C++ runtime, which is required for the server to run. The installation attempts to install these automatically, but this seems to fail sometimes (for example "missing entry point" or "api-ms-win-crt-runtime" is missing). To resolve the problem, follow the steps below. 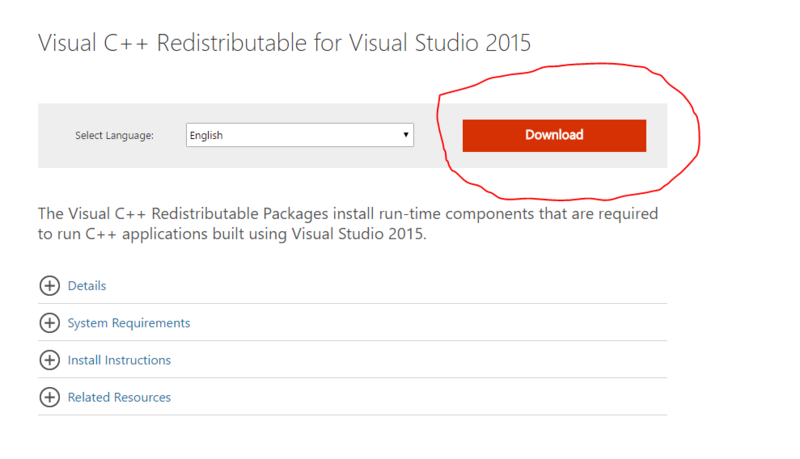 First, find the Visual C++ Redistributable for Visual Studio 2015 download page and click "Download". Make sure to select both "x64" and "x86". Install both of the downloaded files and then try running Unified Remote Server again. If it still doesn't work, then try restarting your computer and/or reinstalling Unified Remote Server.